When you are uncertain about what another seeks from the self, do you feel that it is unreasonable for you to be expected to ask the other what their true meaning might be - what it is that they are seeking from you? Sol: No, it is not unreasonable. For it has been my observation of you my brother, that you - when you do not understand - you often ignore the other completely. 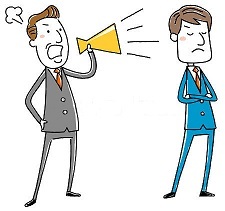 The other is often unaware that you have discarded their request for you either did not hear them – which is the excuse most often provided afterwards – or you have heard and agreed to the request – this is from the viewpoint of the other. Do you understand? And so when another is making a request of the self and the self does not understand, you believe that it is reasonable for the other to expect you to state, “I did not understand you – what are you asking of me?” Am I correct? Sol: It is reasonable for the other to have that expectation. Yes, my brother. Do you agree? So you will agree to begin asking, rather than not confessing that you did not hear or simply discarding the request, thinking that they will repeat it if it is truly important? Sol: All right – I will do that. The physical body influences communication in ways that are difficult to separate from ways of being, the personality; it is the animation of the self – the movements of the hands, the body itself, when the self is attempting to communicate with another. It is the decibel level of the voice – very loud or very low. It is the sound track of the voice – the chuckle or one of anger. It is the energy of the physical body that is communicated to another; these energies are placed behind the words, often to the dismay of the individual that is communicating. They are often misinterpreted by the other, for these energies are unrefined, shall we say. The physical body, the energies of the physical body, when placed behind the words, often cause the other to be repelled or drawn to the speaker. As is well known, it is like energies that repel and those energies that are different that attract. To expand upon this thinking as it is rather contrary to that which is commonly accepted, that “likes attract”, it is to state that one who is positive shall draw to the self one that is negative; that one that is positive shall be repelled by another who is positive, for the other will assume that the positivity is false.